Sometimes I wish magical little cleaning fairies would come out at night and make my house all clean and tidy. You too? Sadly they haven’t found their way to my house – hopefully they’re on their way to yours! Dishes, laundry, scrubbing the toilet (ew!) – it all adds up and is never ending. Honestly, some days all the cleaning that needs to be done can feel a little overwhelming. Instead of tackling the entire mountain in a day, I’ve decided to take it step by step over the course of the week. 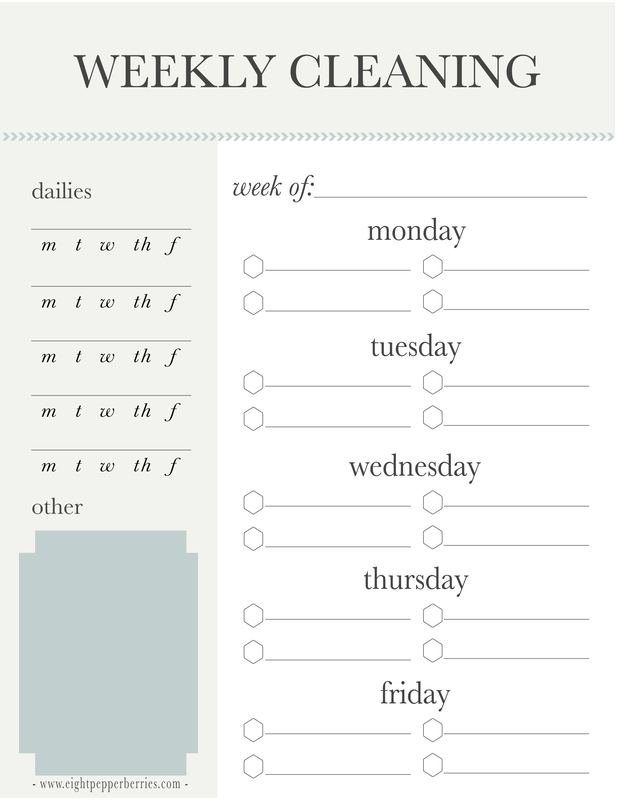 I said a big fat “no thank you” to cleaning day and created a weekly cleaning schedule that fits our household needs. There are every day chores that need to get done, but the bigger tasks are split up throughout the week. Each day gets a specific cleaning task. I find that this helps keep life balanced and eliminates the need to clean all. day. long. Implement a daily quick pick-up and the overall amount of daily cleaning becomes minimized. Spend the rest of your day doing activities you truly enjoy. I don’t know about you, but I don’t jump for joy over dust bunnies and dishes. The weekly cleaning schedule I keep to is Monday – Friday allowing me to fully enjoy the weekend. For the record: there are days I don’t complete every task and I’ve come to the realization that this is ok. Life will go on, the world will keep spinning. The schedule is meant to take off the pressure not to overwhelm. Some weeks I might not dust or scrub down the shower. Other times the bare minimum is done to keep my sanity and to keep my house from looking like an episode of hoarders. Bottom line, use this schedule to the extent that fits your needs. I’m here to make your life a little easier, a tad more organized, so today I would like to share a blank cleaning schedule for you to customize. 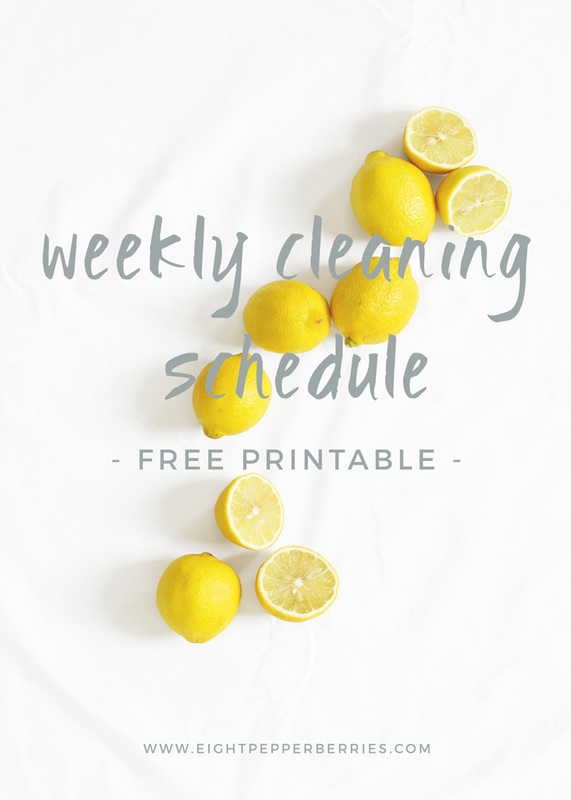 Feel free to print the weekly cleaning schedule and as always you are welcome to share with a friend.